Something dark stirs within the peaceful walls of the prosperous town of Graywall, something only the mysterious vigilante known as The Shadow can overcome. Torn between a sense of justice and a desire for revenge, The Shadow is the nobleman Sir Calan, who must use his skills to assist the Lord of Graywall. When Sir Calan is sent to hunt down smugglers who have run rampant after the levying of a harsh tax by King Edward, he learns of a plot against the just ruler of the town, Lord Shaufton. To thwart this plot, Calan enters a pseudo courtship with Shaufton's daughter under the guise of Sir Calan, even as he wrestles with emotions stirred by the lovely Elsbeth, Lord Shaufton's niece. Elsbeth may be the only person who can heal Calan's troubled soul, but she has secrets of her own. 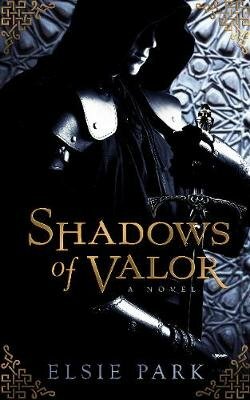 Rife with deceit, greed, and betrayal,Shadow of Valoris a timeless tale of honor, love, and redemption.